Inspired by a comment on my previous article, I realized Nitrous was still a bit too complicated to customize properly. In this tutorial, we’ll glide through installing cURL and Phalcon on a Nitrous.io PHP box. 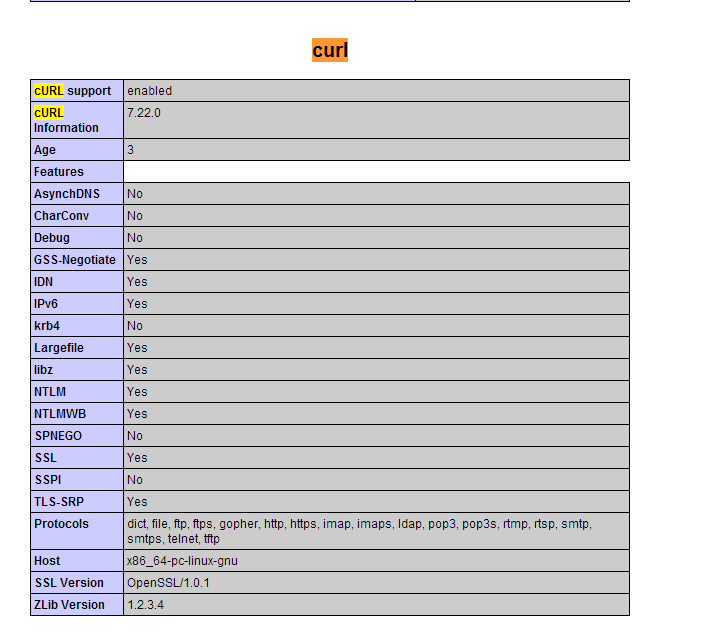 cURL is a bundled PHP library that is often installed alongside PHP. It’s included in the PHP source, but during installation a flag needs to be passed to PHP in order for it to include and activate cURL. Phalcon is a high-performance C-based MVC framework. We’ve written about it before. Phalcon is a third party extension, and thus not bundled with PHP. Thus, we only need the PHP extension to be able to use it. Usually, PHP’s cURL extension is installed with PHP with the flag --with-curl[=DIR] while executing the configure command. In other scenarios, it’s easily installable by calling something as simple as sudo apt-get install php5-curl. However, in our case, neither of these appraches will work. The former cannot be achieved because PHP is already installed and the source code is no longer on the machine, and the latter is unavailable to us because we don’t have sudo access. 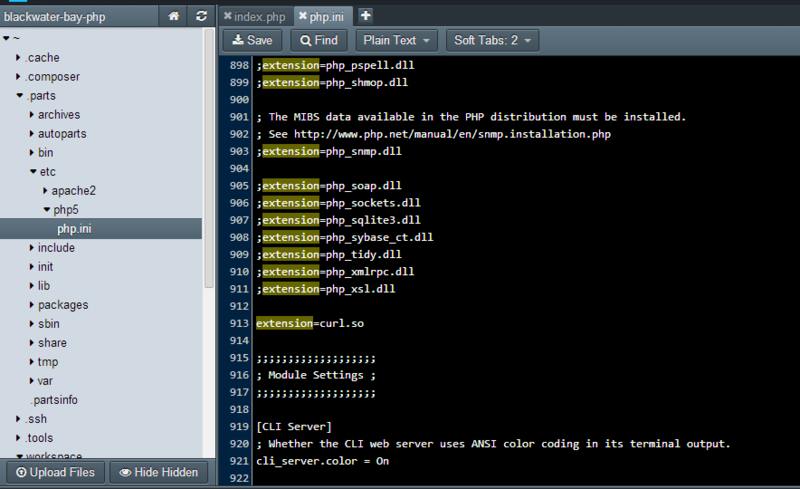 What we’ll be doing next is building cURL from PHP’s source code, and adding it into our configuration manually. If we check the PHP version on Nitrous.io at this moment, it’s 5.5.8. The latest PHP version is, however, 5.5.9. To avoid any potential incompatibility issues, we’ll clone the exact version we’re building the extension for. Uncompress the archive by running tar -xjvf is you downloaded the .bz2 file, or tar -xzvf if you downloaded .gz. This will produce a folder with the same name as the archive. We now have PHP’s source code for version 5.5.8. It’s important to note that this procedure can be applied to any extension bundled with PHP that hasn’t been installed by default. We’re using cURL in this article due to the comment on the previous one, and due to the fact that it’s a popular extension. 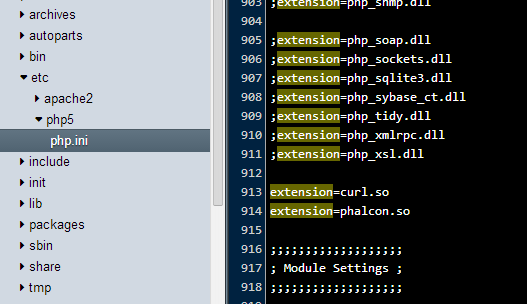 Enter the extensions folder of the PHP source code. This builds the extension from source, places the curl.so file into the modules subfolder, and copies it to the PHP extensions folder in /home/action/.parts/packages/php5/5.5.8/lib/extensions/no-debug-zts-20121212/. If you do, just run the same command again and it should work. Now try to preview the index.php file from before on port 3000 again, and if all went well, the message should say cURL is now installed. As per instructions on their website, we clone the repo and then build the extension. In the last step, we don’t need sudo because the action account Nitrous boxes use is quite elevated, having permissions beyond those of a typical user account. In this tutorial, we’ve demonstrated the ease of installing custom PHP extensions on Nitrous.io. This procedure can be applied to installing PHP extensions anywhere – you don’t need to rebuild the entire PHP source code just to add a bundled extension into the mix. In time, as popularity rises, Nitrous may add a simpler way to pull in extensions – perhaps even through “parts”, their package manager – but for now, we’re stuck with this manual process. While tedious, it certainly isn’t difficult. Have you played around on Nitrous yet? If so, what have you built? If not, what’s stopping you? Let us know in the comments below!